Are you wanting a lasting solution to crooked or misaligned teeth? Do you want orthodontic repair and improvement services that you can rely on? With over 15 years of experience working to enhance the oral health of patients of all ages the highly-trained team of dentists and orthodontic specialists at Karingal Drive Dental know how to put the smile back on your face. Using the best in dental techniques and equipment we can easily assess your need for braces and painlessly apply them to your teeth. With regular adjustments as the teeth grow we can correct tooth growth with ease, ensuring that your dental health remains in the best possible condition. Specialising in greatly enhancing the health and alignment of our patient’s teeth our personalised application of dental braces guarantee that Frankston, Carrum Downs, Langwarrin, Skye, and patients from other surrounding suburbs will all benefit from our range of braces. From traditional wired braces and retainers to clear varieties we will find the right set of dental braces for you. 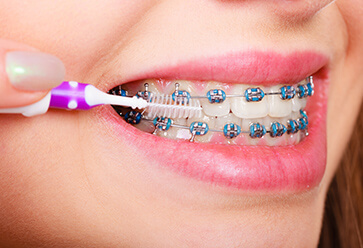 For more information about the unique and corrective benefits of our dental braces patients in Baxter and Seaford can call us on 03 9789 9779 today!